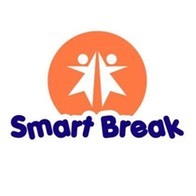 At Smart Break, we believe that all children are curious and creative but often become bored during long summer holidays. 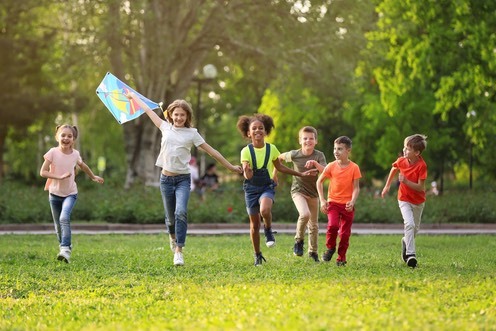 Our qualified leaders can lighten the load on our week-long camps where they will engage, entertain and coach your children in new activities designed to stimulate enquiring minds. 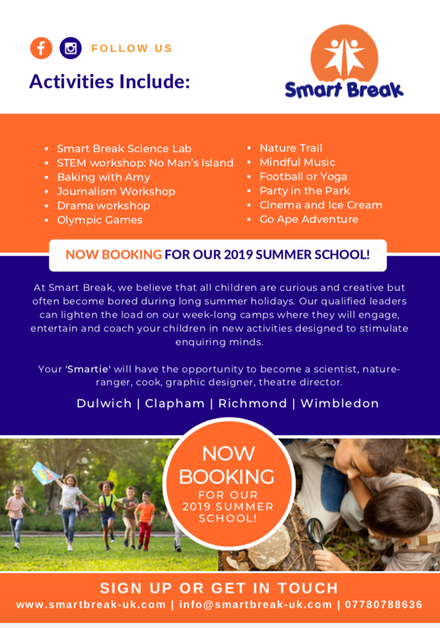 Your 'Smartie' will have the opportunity to become a scientist, nature-ranger, cook, graphic designer, theatre director. 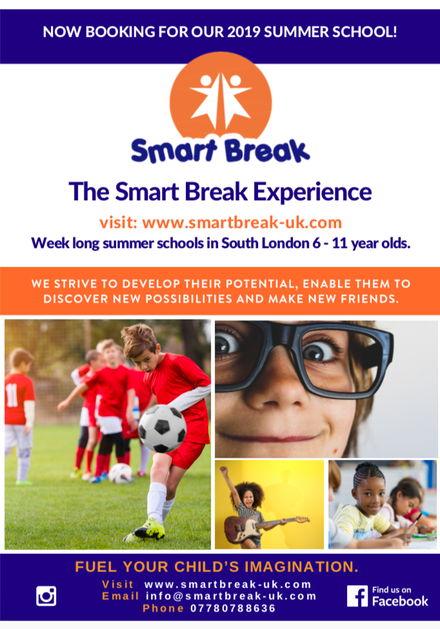 We strive to develop their potential, enable them to discover new possibilities and make new friends.